Sports league management software is intended to help amateur sports teams and leagues organize their members, games, tournaments, and more. League organizers need tools that will streamline scheduling games, organizing tournaments, registering players, and potentially collecting membership or registration fees. Sports league management software often contains scheduling, messaging, registration, and billing features; different tools can offer different feature configurations depending on whether the tool is aimed at adult leagues or children’s teams. It may integrate with calendars, business websites, mobile apps, payment gateways, and email in order to create a one-stop shop for both league organizers and participants. 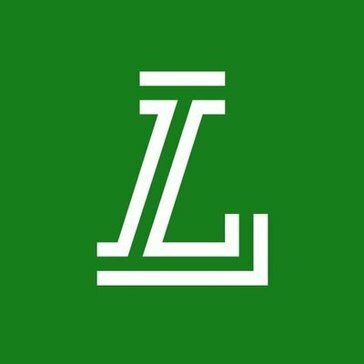 Sports League Management reviews by real, verified users. Find unbiased ratings on user satisfaction, features, and price based on the most reviews available anywhere. The most robust league management software, built for leagues looking to provide administrators and families with an enjoyable youth sports experiencefrom registration day to the final celebrations. Jersey Watch is the easiest sports management software for your club, organization, or league. Our website builder allows you to setup a page and promote your organization. Participants can register and pay from a computer or mobile phone quickly, and administrators can access and sort participant info in seconds. Communicating with parents, players, and coaches has never been easier. Use our messaging tools to send emails and texts with a few clicks from your computer or phone. Volunteers and organizations use Jersey Watch to grow their sports program and save time. 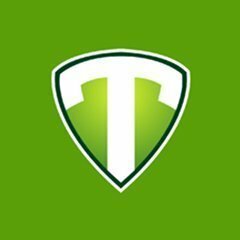 Team App is the ultimate FREE Sports Communication and Membership Management platform globally which is used in more than 150 countries. Team App allows clubs, teams, associations, schools, businesses and social groups to improve communication by creating their own smartphone app. Design your app, choose from a huge range of features and you will have a fully functional Team App and customised website that automatically updates created in less than 10 minutes. Leave the technology to us, and get back to what you love. 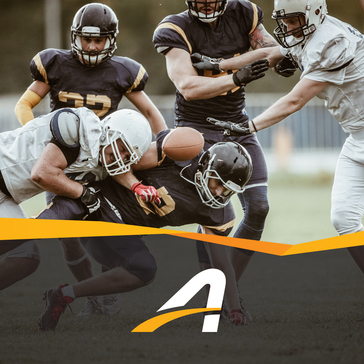 Our sports management platform saves you time and streamlines everything from registration to program management to scheduling and communication through task automation and powerful tools. LeagueApps is the number one solution for large enterprising youth & adults sports organizations who are looking for a complete solution for their organization. Leagues, clubs, associations, tournaments, and teams of all sizes use SportsEngine to manage their operations, run background screens, promote their competition programs, sign up members, communicate with parents & athletes, raise funds, and process payments. In addition to technology, SportsEngine provides professional support, consulting, and design services. SportsEngine is part of the NBC Sports Group. ACTIVE LeagueOne is a sports league management and registration software. Blue Sombrero is a sports league software that provides online registration, sports websites and league management tools for youth sports organizations. Gather scorecards electronically via any internet-enabled pc, mac, laptop, tablet or mobile device. Either enter completed scorecards or score matches with ball-by-ball commentary live. Publish match results and ladders in real time. All from a browser. HockeyShift offers hockey leagues and teams with solutions to engage their fans and players. RAMP interactive delivers online sports administration software that creates effortless communication across sport's governing bodies. Tourney Machine is a tournament and league management software. WatchMeGoPro is a sports management software for athletes, staff and fans. ABC Sports Camps is an online registration and promotion solution for sports camps. ABC Registrations is a complete solution designed to meet requirements of colleges, universities and businesses. All-Pro software provides sports statistics and scheduling software solutions. BenchApp is an online team manager for Hockey, Baseball and Soccer teams. BigTeams is the provider of high school athletics websites and software. Bonzi is a software suite that works with website for sports, and registration, insurance, team sites and coaching, and more. Boxscore is a sports league software to manage teams communication, schedules, games, and profiles. Coach Logic is a video analysis and feedback platform for sports teams. The first padel, tennis and soccer management software for free! We also have a mobile app to make reservations instantly. LineStar is a DFS analytics platform. Engage Sports was founded by parents who are actively involved in youth sports as coaches and board members. We have leveraged our 20 + years of technology experience and developed a company focused on completely streamlining the administrative process of running and managing every aspect of a sports organization. eSportsdesk is a web services company specializing in serving sport organizations. FanDraft Youth Sports Draft Board software is an application designed to assist and enhance your Youth League Baseball or other Youth Sports League live draft. 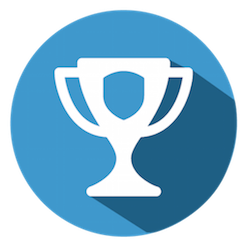 FiXi competition management solution is a web-based application, to simplify and easily handle every aspect of competition management. FuseSport is a global leader in helping sports organisations grow their communities by managing their events and data more effectively. GiveTour is a tour and sports league management software. GoalLine sports management software helps associations and organizations streamline administrative duties. Goal Reports is a provider of web-based director of coaching software. Our solution is designed specifically to help DOC's manage their club, coaches, players and teams. GotSoccer offers the tools to manage a soccer organization. Zuluru is an open source web-based sports league management application. It was initially specific to Ultimate Frisbee, but now also fully supports baseball, basketball, dodgeball, hockey, rugby and soccer, and is being expanded to other sports based on demand. Hockey League Stats is a hockey league management and statistics software. HomeTeamsONLINE is software that creates websites for sports teams, leagues, and clubs. Instascore is a live scoring and engagement platform for amateur sports tournaments. InStat football provides in-depth analysis of fixtures, players, opponent strategies and more. For over 18 years, Jevin has worked with league administrators from around the country to create what is regarded as the most comprehensive and complete management software system available. While most solutions were built as registration systems, Jevin was build as a management system. The difference is obvious to those who have evaluated various solutions. And, while some of our competitors have tried to match our innovative tools, no one can match Jevins focus on saving every board members precious time. We offer a fullfeatured product with number of addons and complementary software for sport league management. A worthy choice for your sport club or team website. Useful and flexible features help to manage a lot of different sports including eSport games. Available on different CMS platforms including WordPress and Joomla. Konkuri is a web application for tournament and league management. Korrio is a cloud-based service for organizing youth sports. LeagueAppLive is used at all levels from small single division local leagues, nationwide multiple division county leagues through to International, Professional and Amateur, European and World Championship tournaments. Bonzi is a sports league software that makes managing a team, club, league or association easy. It gets everything needed to run an organization in one place, from online registration and payments to game schedule. Manage your league online and with your mobile. A simple and easy way to manage your leagues online. League Manager is a golf league management software that contains league information, handicapping system, points calculation, pairings, and reports. Need help managing your league? League Organizer does it all in one fully integrated program - registration, scheduling, uniform requirements, equipment distributions and returns, dues and expenses, financial statements. Hi there! Can I help you find the best Sports League Management solutions?